Fresh, juicy dragon fruit with small seeds is delicious to eat fresh. This fruit also has many benefits for smooth and tight skin. Having healthy and clean skin is everyone's dream. Often people are willing to spend in the pocket so that the skin on the face is not pimpled and not dull. However, caring for the skin can also be done simply by consuming dragon fruit. Whether taken in juice, or used as a scrub for skin health benefits. Summarized from Food NDTV (07/09) following 6 benefits provided by dragon fruit for skin health. The vitamin B3 content in dragon fruit is able to cool sunburned skin. Also overcome inflammation, redness and itching caused by sharp ultra-violet rays. In addition, it can also restore dull skin due to sun exposure to be bright again. Dragon fruit also contains vitamin C which is good for helping reduce acne. Antioxidants in this fruit are believed to be able to make facial skin healthy, not make the skin crack. How to use it is quite easy. First peel the whole dragon fruit from its skin, then crush the dragon fruit until it becomes a smooth paste using a fork. Apply to the area of ​​the face with the help of cotton. Be sure to use different cotton for other areas. In addition to reducing the incidence of acne, the content of vitamin C in dragon fruit also makes the skin glow and look fresh. To get this benefit, just process the dragon fruit into a glass of juice. With this juice consumption routine your face is no longer dull and looks radiant. Free radicals are very dangerous for health. One of them is the health of the skin, because free radicals can damage cells and cause oxidative stress, making the skin look dull and dehydrated all the time. It can even cause the skin to age prematurely. 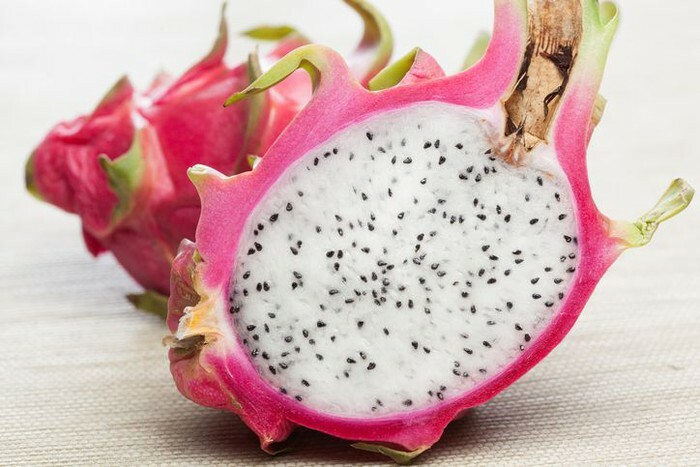 By applying dragon fruit to the skin can prevent free radicals from entering the skin cells. Early aging can be caused by various factors. Such as a bad lifestyle, lack of sleep, free radical damage, poor diet, and damage caused by sun exposure. Premature aging can be seen by the appearance of fine lines and wrinkles on the skin. For that use dragon fruit as a panacea. Just take half the dragon fruit and puree. Apply to the face and neck area such as the use of scrubs in general. Let stand for 20 minutes and rinse with warm water. Dragon fruit is a natural moisturizing ingredient, because there is about 80% water and is supplemented with vitamins as well as antioxidants. 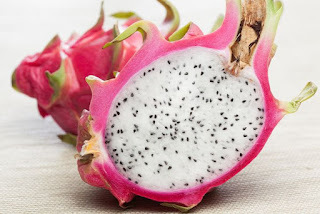 One of the best ways to use dragon fruit is by applying it directly to the skin. Rub slowly and thoroughly to get maximum benefit. 0 Response to "Routinely Eat Dragon Fruit for Tight and Smooth Skin"